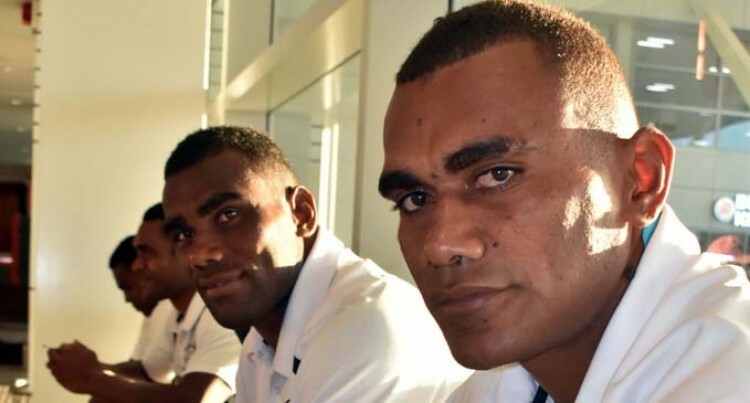 Fiji Airways Drua utility backline player Eroni Sau was always told not play rugby in the village while growing up in Yasawa. But Sau insisted all along that he can’t avoid playing rugby like all Fijians. The Naviti, Yasawa native has not failed to impress since coming off the bench in the first game against Brisbane City scoring a try in the 48-40 loss at Ballymore. He played as a wing in the first three games and centre in the 41-5 victory over the Perth Spirit in Suva last Saturday. He has scored two tries so far in the competition. “I was told not to play rugby in the village and focus on schoolwork but I always loved the game and I can’t avoid it,”Sau said. He attended Year 12 at the Yasawa High School before he moved to Lautoka to finish his Year 13 at the Ba Provincial Freebird Institute where he was introduced to play rugby league. “I joined Saru Dragons and was given a contract to play in the Cook Islands. “I tried to join the team for the 2013 Rugby League World Cup but couldn’t make it. “I met Lagilagi Golea (FNRL development officer) and he urged me to join a 7s team and contacted Red Rock Rugby Club coach, the late Lote Rasiga. “He gave my fare to go to Lautoka and bring my stuff and return to join his team in Qauai. I learnt a lot of things like sacrifice and I even toured with the team to Australia. In 2014 he was recruited as a special constable at Totogo Police Station in Suva. “I did not expect to come this far, there is a lot to learn, especially with the Fiji Airways Drua team.